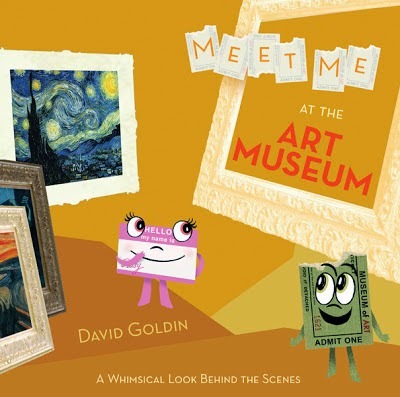 Building a picture book around actual works of art can be a tricky task. 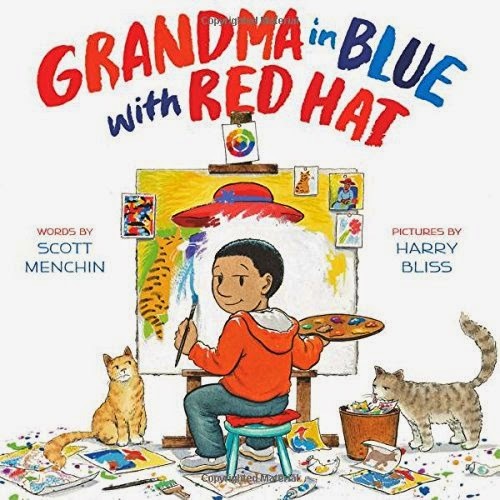 With Grandma in Blue with Red Hat, Scott Menchin, illustrator of several picture books and author of more than a few, creates a masterpiece. 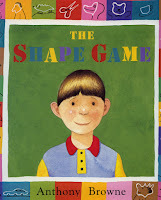 In addition to his work in picture books, Menchin is an award winning illustrator and teacher at the Pratt Institute Graduate School. 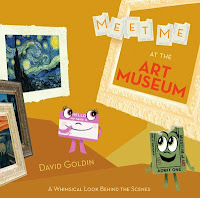 This makes him very well poised to write a story that takes place, mostly, in the Metropolitan Museum of Art, and is not only about art but about what is art. Fortunately, like the narrator of Grandma in Blue with Red Hat, Menchin, and Harry Bliss, picture book illustrator and cartoonist for the New Yorker, have great senses of humor, even making a couple of underwear jokes and including an AARP magazine with R. Crumb on the cover. Grandma in Blue with Red Hat begins with the narrator waving goodbye to his Grandma as he heads into the Met, telling us that Saturday is the best day because that's when he has art class. Ms. Montebello, his teacher, asks the class, "Did you know that anything can be in an art exhibition?" 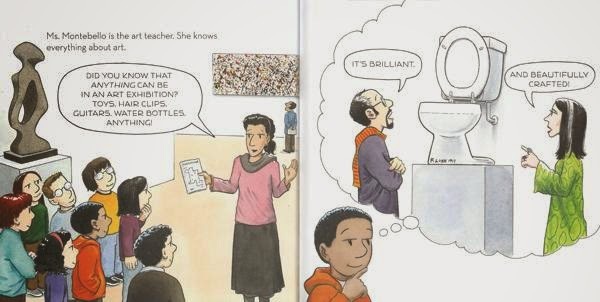 As she says this, the narrator imagines a toilet on a pedestal, signed by the artist F. Lush, being admired. It reminded me of Marcel Duchamp's work, Fountain, which was signed, "R. Mutt." 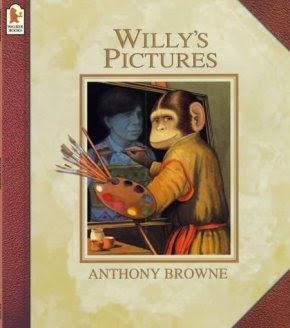 However, while there are recognizable works of art in Grandma in Blue with Red Hat, along with images of the narrator reading (or possessing) books about Georgia O'Keefe and Daumier, along with works that mimic famous pieces, there is no glossary at the back of the book, which actually feels right. If there is any kind of message in Grandma in Blue with Red Hat, it is that anything can be art, so why label stuff? The class tours the museum, answering Ms. Montebello's question, "Why is this in the museum?" Back at home, discussing his class with his grandmother, the narrator realizes that Grandma has all the same qualities of the works of art his class viewed and decides that his Grandma should be in the museum. With the backing of Ms. Montebello, he takes his idea to the curator, who gently persuades him otherwise, saying, "We do have a rule at the museum. We do not take of grandmas." And this is when an even better idea is born. 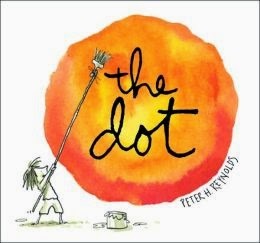 The narrator decides to put on his own exhibition, filled with paintings and scupltures done in many styles and traditions, all featuring his amazing grandma. Mom, Dad and Grandma host the show, with cupcakes and lots of guests admiring the art.